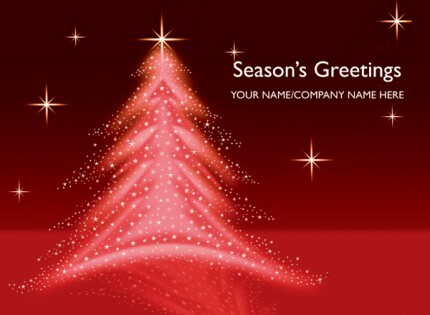 This gorgeous contemporary style design is a great way to send your season’s greetings this Christmas. This design is the perfect addition to any home or office, from the gorgeous glow given off by the shimmering Christmas tree, to the sparkles of light in the background. Christmas Tree Illustration Red is finished with gloss. CN0159R is suitable for company, corporate, business or personal use. Christmas Tree Illustration Red is printed onto a quality board and is finished with gloss.